Committed to the mission of economic development in the City of Hampton, Virginia and the Virginia Peninsula, the National Institute of Aerospace (NIA) incorporated the Peninsula Technology Incubator (PTI) because they strongly believe that entrepreneurship can and should play a more significant role in job creation and retention of the best and brightest graduates from regional universities. PTI was established as a subsidiary 503(c)3 Virginia Corporation and received an initial grant from the City of Hampton Industrial Development in 2012. As part of the continuing evolution of PTI, NIA has re-established its incubator program as the REaKTOR Business Technology Innovation Center (RBTIC) in 2017. Fostering an environment designed to motivate member companies to effectively and efficiently move through the incubator & accelerator process by providing business training, counseling and mentorship, technology transfer resources and information, access to capital funds, and educational business resources. The result is an energetic technology innovation center leading the convergence of regional entrepreneurial leaders. Our mission at the REaKTOR Business Technology Innovation Center is to implement an internationally recognized business pre-acceleration and acceleration program to commercialize scientific and technical research, with a particular emphasis on aerospace and unmanned aerial vehicles (UAVs). 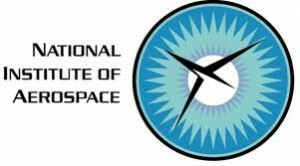 As we promote the National Institute of Aerospace as the epicenter for new and expanding aerospace/UAS research and technology companies, RBITC creates an environment full of energy and outcome-centric goals intended to inspire and motivate its members. At the REaKTOR Business Technology Innovation Center, we not only strive to be the forerunner in the development, implementation, and business of technology commercialization for the future of Hampton Roads, but also to be recognized as an innovation leader in the Commonwealth and international communities. In addition to delivering programs, events, and services focused on successful business practices, RBTIC advocates an economic , tax and regulatory environment to create a workforce and infrastructure that maximizes the competitiveness of the area’s technology community. In chemistry, Ea represents the energy which must be available to a chemical system with potential reactants to result in a reaction. This is the activation energy we hope to bring out in the budding entrepreneurs of our program. KINETIC ENERGYIn physics, K is the energy an object possesses due to its motion and defined as the work needed to accelerate a body of a given mass from rest to its stated velocity. With the resources REaKTOR BTIC offers, cohorts and clients are constantly mentored throughout every stage of development to maintain the path to success. TORR is a standard unit of pressure equal to 1/760 mm of Hg. We understand the pressures and obstacles in starting a new business. Our goal is to help overcome entrepreneurial challenges and break down barriers.